Holy Rosary School is partnering with the American Red Cross to hold our first community blood drive on May 22 between 2 pm and 7 pm. Giving blood is giving the gift of life. Please consider donating with us to support this life-giving organization. To register and reserve your spot, please visit: www.redcrossblood.org and enter the sponsor code HolyRosarySeattle (upper right of the page). The event will be held at the Holy Rosary School Hall, located at 4142 42nd Ave SW.
Back in January, we reported on a new fundraiser in The Junction – the chance to adopt one of the 90+ flower baskets that are displayed in spring and summer. This year’s baskets are almost ready to go – the photo above is from the greenhouse where they’re growing until the weather’s consistently warm(ish) enough to bring them out. More than 80 were adopted, and you’ll see commemorative plaques next to them (including one for WSB – we signed up too!) when they appear within the next few weeks. If you have questions or comments about the proposed rezoning for the Mandatory Housing Affordability component of the city’s HALA (Housing Affordability and Livability Agenda) plan, you’ll want to start your Saturday at Westside School (10404 34th SW; WSB sponsor) in Arbor Heights, where various city departments are teaming up for an open house, 10 am-noon. HALA MHA and how it would affect West Seattle and South Park (see the interactive map here) is at centerstage – with something new, as we reported earlier this week – but other city departments will be there too, with information about a variety of projects. It’s an informal meeting, like the one back in December – but much more room this time! – so you can just drop in during that 2-hour window. P.S. The city has had workshops about the HALA MHA proposals in all five of the West Seattle/South Park Urban Village areas. It’s posted most of the presentations and summaries on this page if you want to review them before the open house; while the Morgan Junction feedback summaries still aren’t there, two months after the final workshop, they were just sent to the Morgan Community Association, whose president Deb Barker forwarded it to us – see the documents here, here, and here. John (Danny) Daniel Walters, Jr., age 74, passed away Tuesday, April 11, 2017, at Highline Hospital after suffering a stroke. Born in Wichita Falls, Texas, on February 5, 1943, to John and Mattie Walters. John lived in Texas until he entered the Navy in 1962. He served as a Radioman on the USS Graffias until honorably discharged in 1966. John then married Janet Marie Gould and together they raised a family in Seattle, where he worked as a pipefitter at Todd Shipyard. John is survived by his wife of 50 years, Janet Walters; children Stacie and Ty; granddaughter Danielle, and grandsons Timmy, Patrick, Justin, and Alex; and sister, Sherry. He was preceded in death by his parents, his brother Bobby and grandson Mikey. He loved playing the role of “Papa” to his grandchildren including Zeek and great grandson Jerimyah. John was a Family man first, always lending a helping hand and giving advice wherever he could. He went out of his way to touch the lives of everyone around him and will be deeply missed by his family and friends. Service will be held May 11, 1 pm, at Tahoma National Cemetery. We’ll be there shortly for updates. Big response overall – this area is served by the North Highline Fire Department. One person has minor injuries, we’re told, and was treated at the scene. 3:45 PM: The fire (at 10907 26th SW) is out or close to it, our crew reports, and investigators are on the way to try to find out how it started. We’ll check back at the scene later in the afternoon. 6:12 PM: Just went back. The investigator hasn’t been able to go in because the fire has been flaring up. So firefighters will stay on scene TFN just in case they’re needed. Two veteran bartenders are working to bring a neighborhood bar to an evolving stretch of South Delridge. West Seattle residents Andrew Spence and Ed Wheeler have worked in bars and restaurants throughout the city since moving here from Oakland, California and Las Vegas, Nevada, respectively. Now the two have become business partners working toward a summertime opening of 2 Fingers Social at 9211 Delridge Way SW, a site that has seen a variety of businesses come and go in recent years, as noted here when we first mentioned an early-stage plan for the site in March. Spence and Wheeler hope their experience in the food-and-beverage industry will help them establish their bar as a fixture in a rapidly changing area, where neighbors have already been working hard on improvements. Beer and wine will be available at 2 Fingers Social, but the full bar will be the primary star. Spence and Wheeler are still putting their liquor lists together, but already have ruled out any cut-rate labels. Between the bar seating and tables, 2 Fingers Social will seat 50 people upon opening. The owners plan to eventually add outdoor seating on a patio in front of the building. Though there is a heavy focus on the bar, Spence and Wheeler say their food offerings will be just as compelling. The menu will consist of hot sandwiches and sides. They plan to keep selections fairly limited and “off the beaten path.” Wheeler says they hope to work with the nearby shop Meat the Live Butcher on sourcing quality, local meats for their sandwiches. They will also have vegan and vegetarian sandwiches on the menu. Both fathers themselves, Spence and Wheeler are dedicated to making the atmosphere of 2 Fingers Social as family-friendly as possible so that everyone feels welcome, whether they are coming for cocktails, dinner, or both. The two are working hard on renovations and paperwork in the hopes they will be able to open within a few months, though typical delays in processing could push them into August before they could open their doors. Once open, 2 Fingers Social will be open from 4 pm to midnight, seven days a week, with the potential to expand in the future into both the lunch and late-night hours. *Protect, restore, and enhance urban/suburban habitats for birds. *Reduce urban/suburban hazards to birds. *Educate and engage urban/suburban citizens in caring about and conserving birds and their habitats. Read more about the program here. Updates ahead, as this morning’s event continues! A few more photos and notes to come. And on the subject of what else you can do – here’s how to protect birds from colliding with your windows. Seattle Public Utilities is working to reduce polluted stormwater runoff from entering the Longfellow basin water system. As part of this effort, we are designing and constructing 7 – 10 blocks of Natural Drainage Systems (NDS) in the Longfellow Creek basin. As part of this effort, SPU is sending a mailing (the attached letter, project brochure, and survey) to residents located on these potentially feasible blocks. We need input from folks who live directly on these project blocks to help inform our final NDS siting decisions. The cutoff for the survey (linked here) is May 26, 2017. Please feel free to contact Luis Ramirez, project manager, at Luis.Ramirez@seattle.gov or 206-684-3660, or April Mills, Line of Business Representative, at April.Mills@seattle.gov or 206-733-9816 for eligibility requirements or our survey outreach approach. Visit our SPU project page for additional information. As the brochure says, construction is expected to happen in 2019. City and county “natural drainage systems” projects are already in place in other parts of West Seattle including Highland Park, South Delridge, Sunrise Heights, and Westwood. And, we need your help to make playground improvements a reality! -volunteer time for work parties? All ages welcome! -a donation of food and drinks for work parties? -If you are a contractor: help with heavy equipment or irrigation work? -If you own a plant nursery or landscaping business: donated/discounted trees, soil, mulch, sod, boulders, logs or other needed materials for improvements? It all counts toward our match, so come and lend your support for playground improvements. If you can pledge to help but can’t make the meeting on Monday, please email Sandy Lennon at sandylennon@comcast.net. On that note, save the date! Second Gear Sports, our West Seattle sports-consignment store, is donating 10% of sales on Sunday, May 21, to playground improvements. Gear up for your summer sports on May 21 and help us on our way to a better playground. *Playground design work has been generously funded by a Small Sparks grant from the Seattle Department of Neighborhoods’ Neighborhood Matching Fund and the Gatewood PTA. 6:59 AM: Good morning! Much-better weather this morning. But there’s one outbound problem – on NB I-5 downtown, the left lane is closed near Seneca, and that’s backing things up. 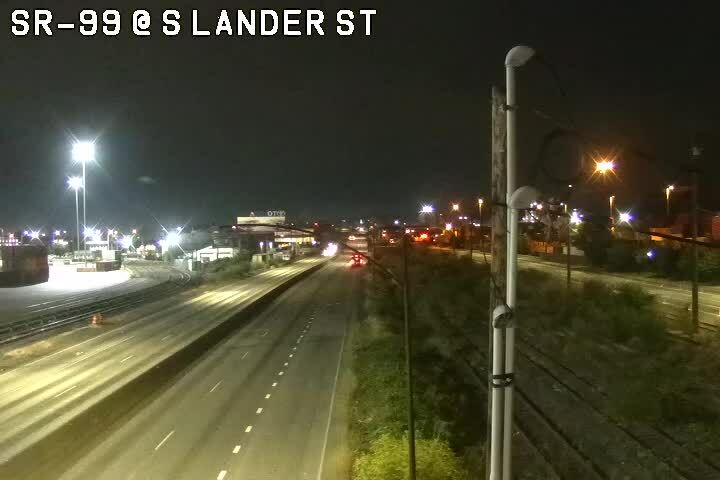 BRIDGE CLOSURES: The overnight closures for streetlight work have now moved to the eastbound side of the west end of the West Seattle Bridge. STADIUM ZONE: This weekend’s lineup – Mariners are home vs. Texas at 7:10 tonight, 6:10 Saturday night, 1:10 pm Sunday; Sounders FC plays at home vs. Toronto at noon Saturday. 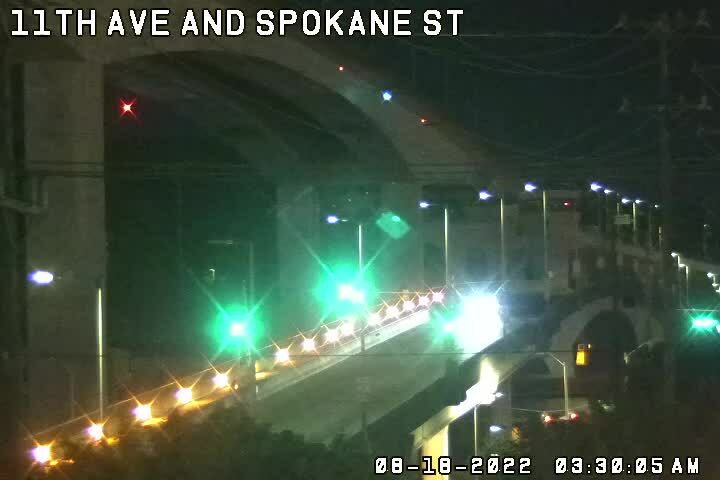 7:20 AM: If you use East Marginal south of the West Seattle Bridge, SDOT warns that the light at Hudson is flashing and that’s leading to backups stretching to the 1st Avenue South Bridge. They are sending a crew. 7:25 AM: The NB I-5 problem at Seneca is cleared, WSDOT says. Long residual backups, though. 7:55 AM: New trouble. Multiple-vehicle (6 or 7, says a reader) crash on the eastbound bridge approaching the crest, reportedly blocking the transit lane. 8:05 AM: SDOT says the East Marginal/Hudson light is back to normal. 8:48 AM: No update on the bridge crash, but if you are coming into West Seattle on the westbound bridge, SDOT reports a stalled vehicle is blocking one of the turn lanes to southbound 35th SW.
8:55 AM: SDOT now confirms the bridge crash has cleared. 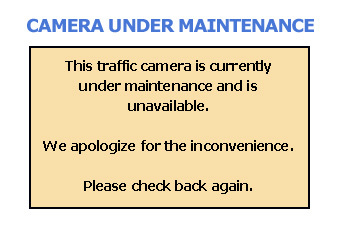 9:07 AM: And the 35th/Fauntleroy problem has cleared too. 9:57 AM: One more weekend alert – eastbound I-90 work will add a lot of time if you’re heading that way – here are the details from WSDOT.